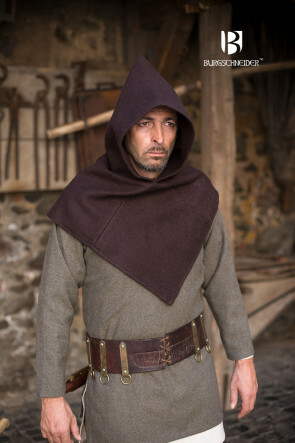 The High Middle Ages usually designate the time from the 11th to the 13th centuries. 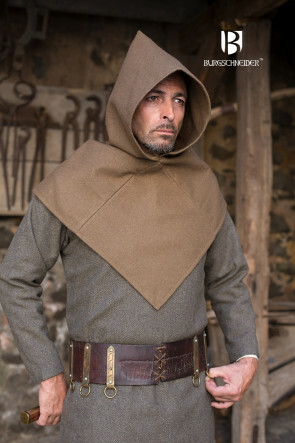 Most notably, compared to the Early Middle Ages, during the the High Middle Ages the garments of the nobility had become far more conspicuous, more colorful, and form-fitting. 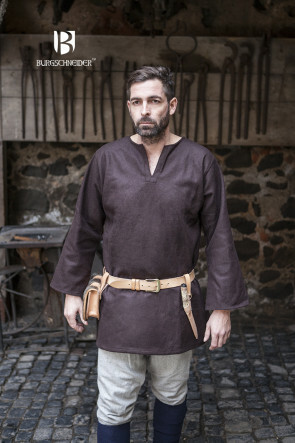 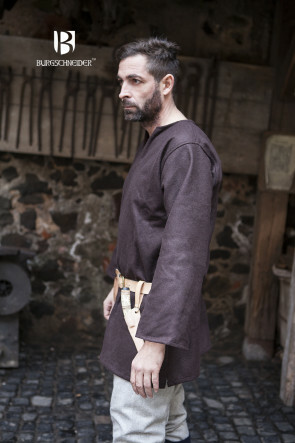 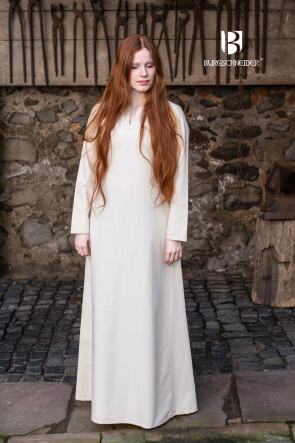 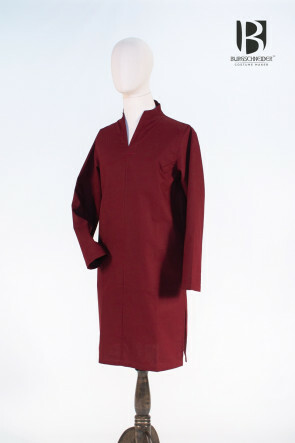 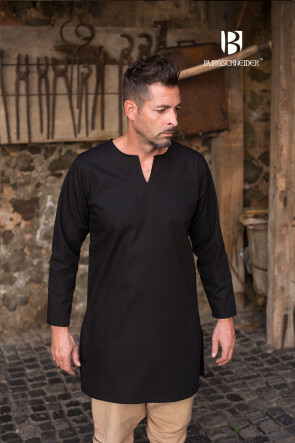 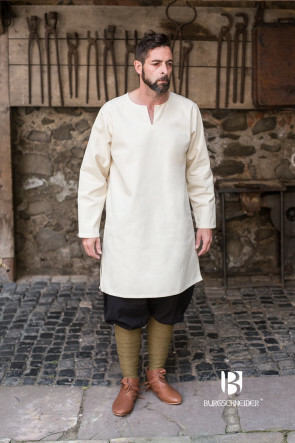 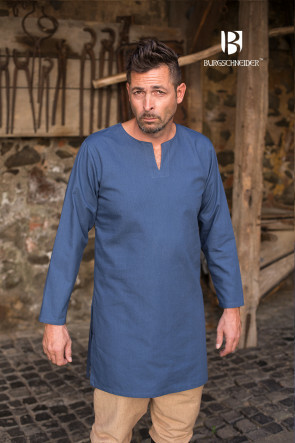 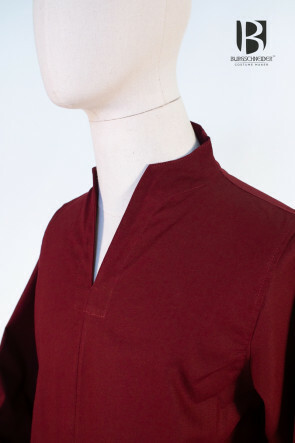 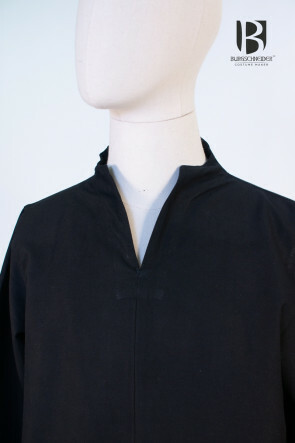 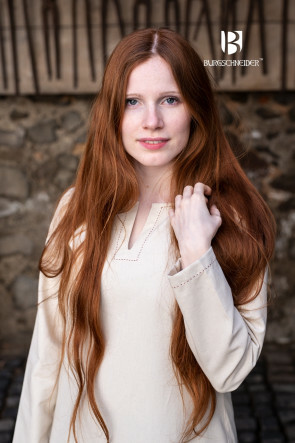 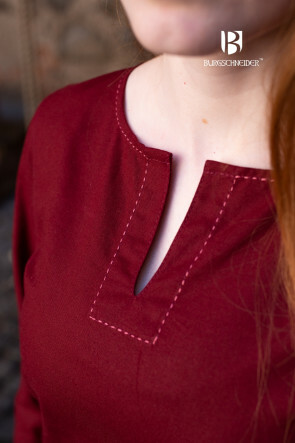 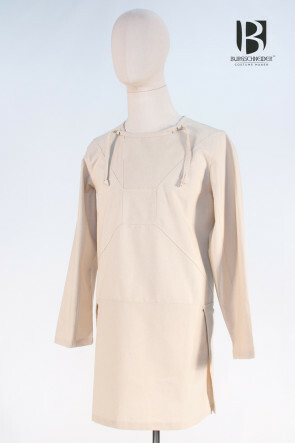 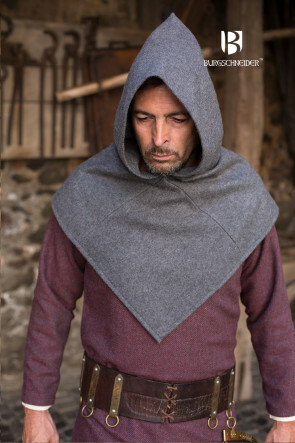 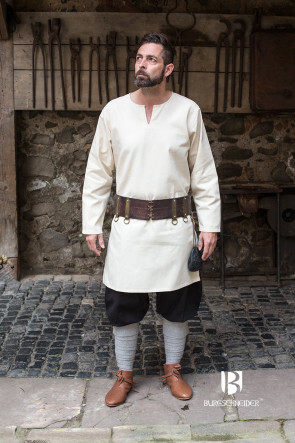 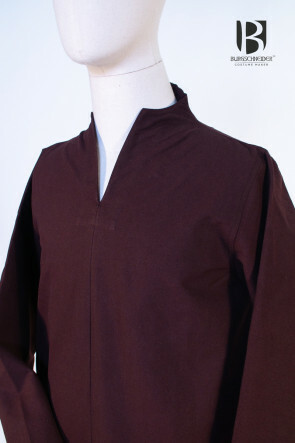 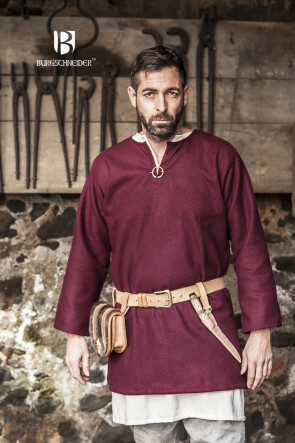 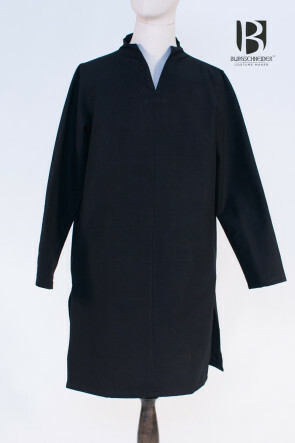 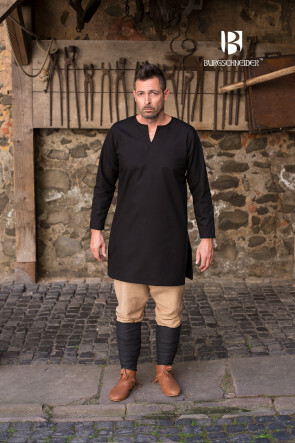 According to contemporary research, the most common clothing item was the “cote,” a rather simple garment worn by rich and poor, men and women alike. 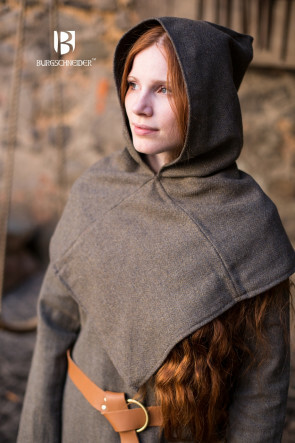 However, the cote’s shape and color varied, depending upon the wearer’s gender and stratum. 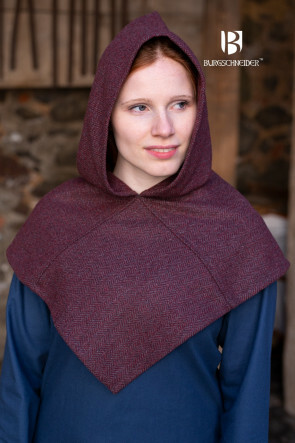 The simple shape of the cote was quite popular with the lower strata and it was frequently worn by the poor. 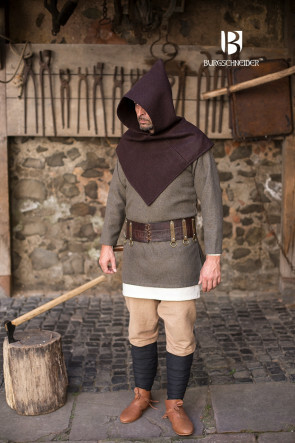 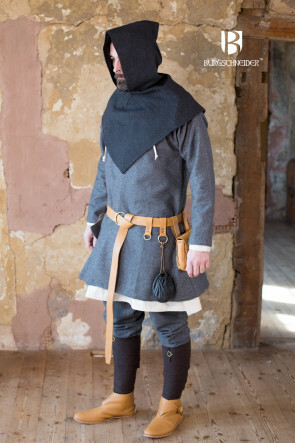 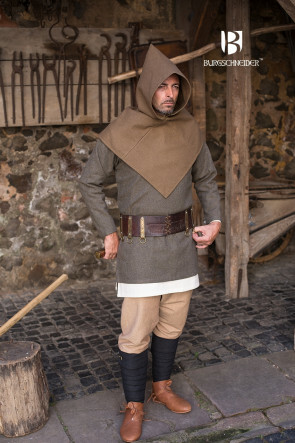 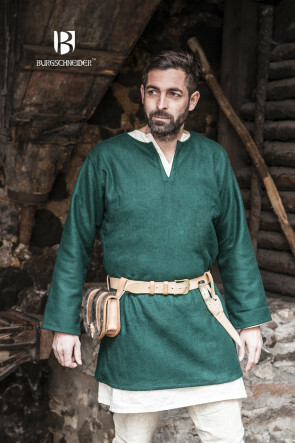 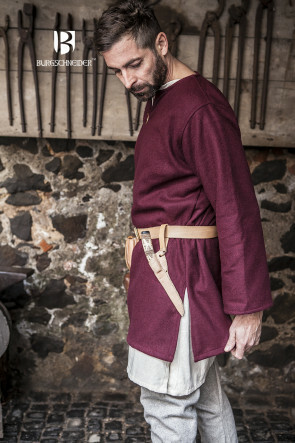 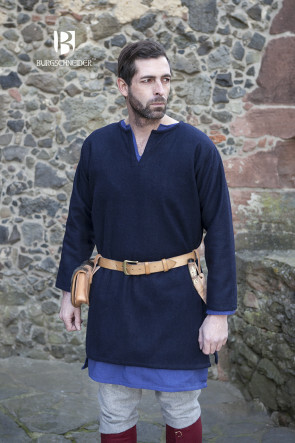 So, for instance, the Landsässische Tracht (garb worn by Landsassen; Middle High German for ’farm workers’), usually consisted of an undershirt and breeches (a kind of medieval briefs) as undergarments under a belted cote and chauces, usually with a coif (‘Bundhaube’) as headwear, topped off with a hat or a hood. 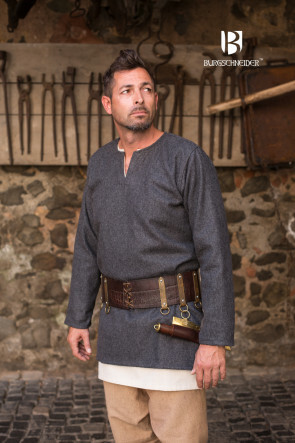 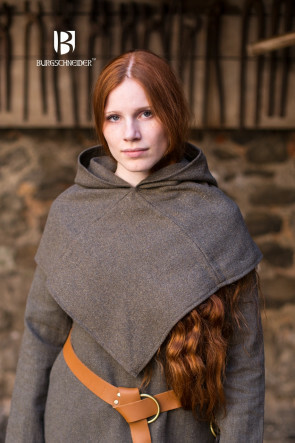 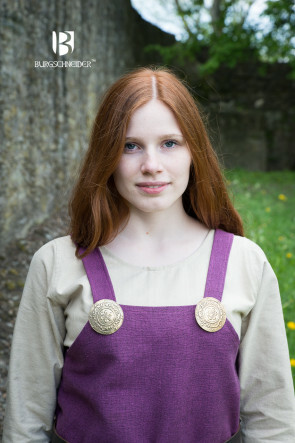 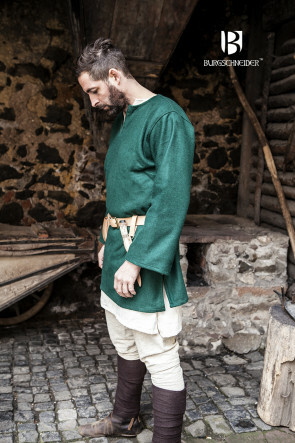 Farmers and simple peasants usually wore clothes made from wool or linen, as these materials were easy to produce and inexpensive to obtain. 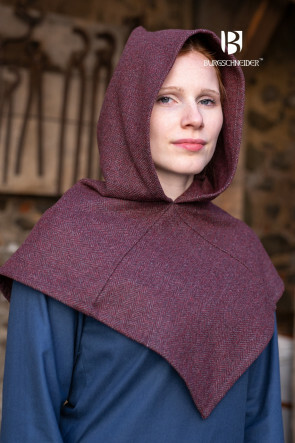 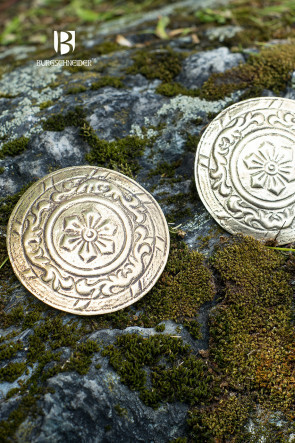 Because clothing in the High Middle Ages was also considered a symbol of status and the nobility fancied showing off their prosperity, obtaining the most exquisite fabrics quickly became quite a sumptuous affair. 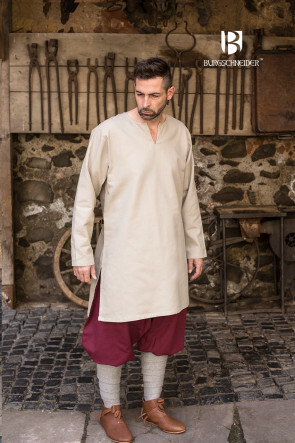 Although the pattern of the cote worn by the nobility resembled that of the peasants, the garment was hardly suitable for practical labor. 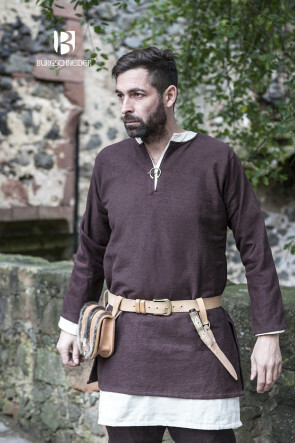 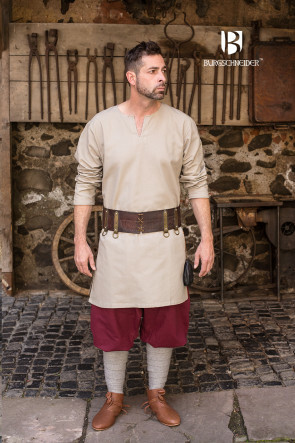 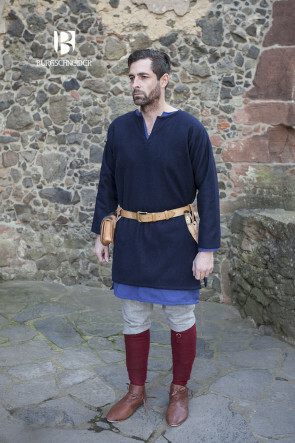 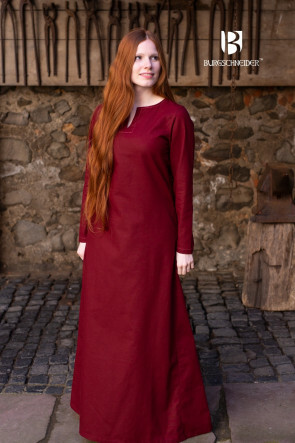 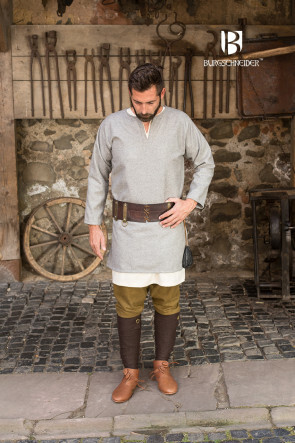 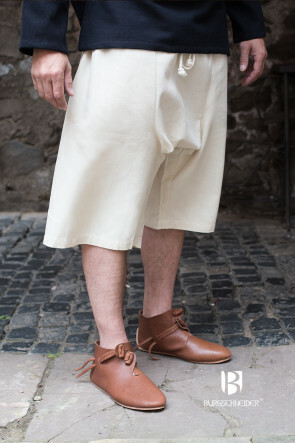 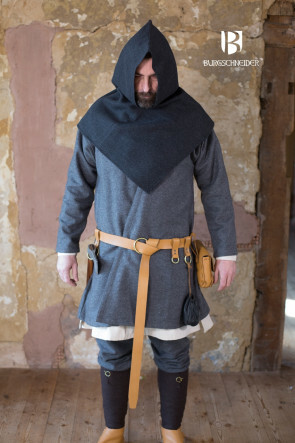 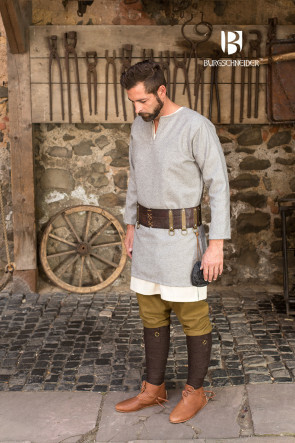 Noble men usually wore cotes with varying lengths (from the middle of the thighs to the middle of the calves), while women’s dresses were often long enough to draggle on the floor. 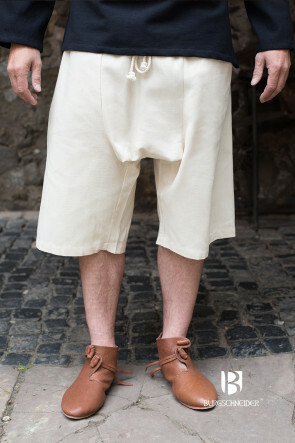 Additionally the rich attempted to use (and thus show off) as much fabric as possible and therefore pleated it vertically. 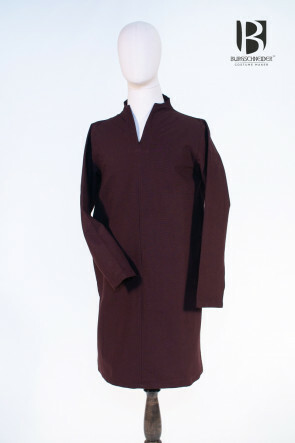 As a result, the motif of the pleated garment was quite popular in the visual arts of that time. 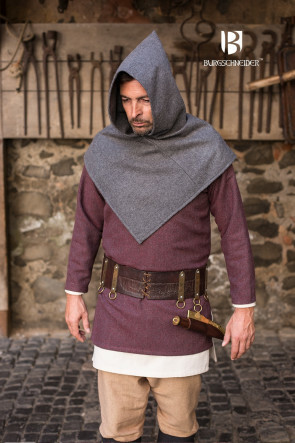 Dyed fabrics were, due to the rarity of dyes, quite expensive, which is why the colorful garb of the nobility stood out from the untreated farbics worn by the lower strata.